San Diego County Crime Stoppers and investigators from the San Diego Police Department’s Homicide Unit continue to look for leads in the unsolved murder of Andrew Moore. September 8, 2019 will mark the nineteen year anniversary of Andrew’s death. Every year Andrew’s family flies from Pennsylvania to San Diego to present a student at San Diego City College with a scholarship in Andrew’s name. Anyone with information on the identity or location of the suspect(s) responsible for this murder is asked to call SDPD’s Homicide Unit at (619) 531-2293 or the Crime Stoppers anonymous tip line at (888) 580-8477. Crime Stoppers is offering a $1,000 reward and the Moore family has offered an additional $5,000 reward to anyone with information that leads to the arrest in this case. The Governor’s Office is offering a $50,000 reward to anyone with information that leads to the arrest and conviction of the suspect(s). Information on how to send anonymous mobile app and web tips can be found on our website at www.sdcrimestoppers.org. Questions regarding the investigation should be directed to Lt. Matt Dobbs at (619) 531-2425 or email at mdobbs@pd.sandieg.gov . Questions regarding Crime Stoppers can be directed to Officer Mark Herring at (619) 531-1500 or email at msherring@pd.sandiego.gov or Deputy Marcial Lopez at (619) 531-1547 or email at marcial.lopez@sdsheriff.org. San Diego County Crime Stoppers, along with investigators from the Oceanside Police Department’s Crimes of Violence Unit, are asking for the public’s help in locating a suspect wanted in connection with attempted murder in Oceanside. On March 22, 2018, at approximately 15 minutes past midnight, an unknown person fired five to six rapid gunshots in the alley to the rear of 341 Brooks Street in the Crown Heights neighborhood of Oceanside. The gunshots had been aimed skyward and eastbound over the I-5 freeway. One of the bullets struck the roof of a one-story granny flat residence located to the rear of the main residence on the 300 block of Brooks Street. One of the bullets flew over the I-5 and struck a pedestrian who had been walking in Ron Ortega Park, which is located at 200 Brooks Street, directly east of the residence on the 300 block of Brooks Street. The pedestrian was found on the ground one hour later by a passerby. The victim was hospitalized and is in critical condition. 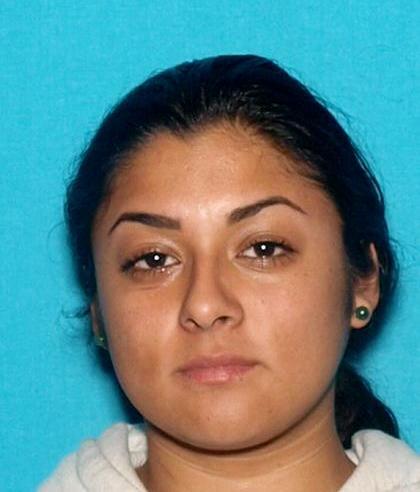 Media inquiries about Crime Stoppers can be directed to Deputy Adriana Uribe at (619) 531-1547 or email at adriana.uribe@sdsheriff.org or Officer Mark Herring at (619) 531-1500 or email at msherring@pd.sandiego.gov . San Diego County Crime Stoppers and investigators from the San Diego Police Department’s Homicide Unit are asking for the public’s help in identifying and locating the suspect(s) responsible for the murder of 28-year-old Victor Vega. On May 28, 2016, at 10:00 p.m., officers from the San Diego Police Department responded to a report of a shooting in the 8300 block of Brookhaven Road. Officers located Victor Vega in the street suffering from gunshot wounds. Officers along with medics began life-saving measures, but Vega died at the scene despite their efforts. Investigators learned that Vega had attended a party in the area earlier in the evening. Vega was walking along Brookhaven Road when a dark colored sedan drove up next to him. Gunshots were fired from the vehicle striking Vega. The vehicle and its occupants fled eastbound on Brookhaven Road. Victor’s mother and stepfather (Laura and Michael Doyle) will be available for media interviews today at 10:00 a.m. in front of SDPD Headquarters located at 1401 Broadway. 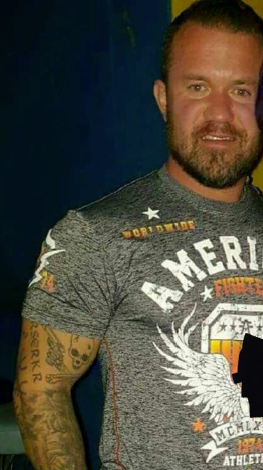 Laura and Michael Doyle have put up a $6,000 reward in addition to Crime Stoppers’ $1,000 reward for any information that leads to an arrest in this case. 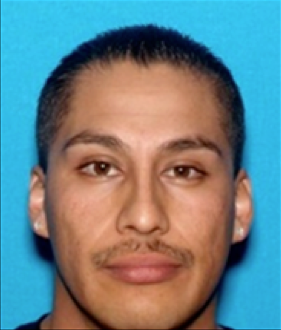 San Diego County Crime Stoppers, along with investigators from the Oceanside Police Department’s Homicide Unit, are asking for the public’s help in locating Edgar Hernandez Saavedra who is wanted in connection with the murder of 29-year-old Miguel Luis Castillo. On August 20, 2016, at about 2:40 a.m., Edgar Hernandez Saavedra was arguing with Miguel Luis Castillo while they were standing in front of Edgar’s residence which is located on the 800 block of Langford Street in Oceanside. During the argument, Edgar Hernandez Saavedra shot and killed Miguel Luis Castillo with a semi-automatic handgun. Edgar Hernandez Saavedra is a 29-year-old Hispanic male. He has brown hair and brown eyes, stands about 5’6” tall and weighs 175 lbs. He is a documented gang member who is also known as “Little Edgar” and “Smalls”. Anyone with information on this murder or the location of Edgar Hernandez Saavedra is asked to call the Oceanside Police Department’s Homicide Unit at (760)435-4027 or Crime Stoppers anonymous tip line at (888) 580-8477. Visit the Crime Stoppers website at www.sdcrimestoppers.org for more information on how to send anonymous web and mobile app tips. 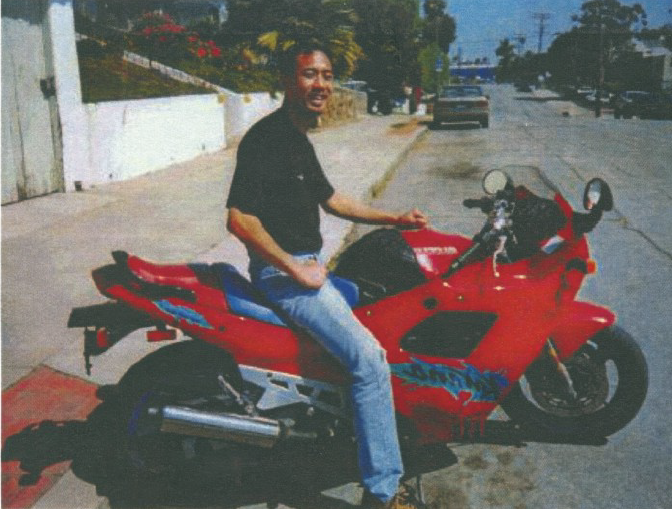 San Diego County Crime Stoppers and investigators from the San Diego Police Department’s Homicide Unit continue to look for leads in the unsolved murder of Andrew Moore. September 8, 2018 will mark the eighteen year anniversary of Andrew’s death. Mr. and Mrs. Moore will be available for interviews today at 2:00 p.m. in front of San Diego Police Department Headquarters, located at 1401 Broadway. Anyone with information on the identity or location of the suspect(s) responsible for this murder is asked to call SDPD’s Homicide Unit at (619) 531-2293 or the Crime Stoppers anonymous tip line at (888) 580-8477. Crime Stoppers is offering a $1,000 reward and the Moore family has offered an additional $5,000 reward to anyone with information that leads to the arrest in this case. The Governor’s Office is offering a $50,000 reward to anyone with information that leads to the arrest and conviction of the suspect(s). Information on how to send anonymous mobile app and web tips can be found on our website at www.sdcrimestoppers.org . Questions regarding Crime Stoppers, or to speak with the Moore family, please contact Officer Mark Herring at (619) 531-1500 or email at msherring@pd.sandiego.gov . San Diego County Crime Stoppers and investigators from the National City Police Department’s Homicide Unit are asking for the public’s help in finding the person(s) responsible for murdering Onan Loaiza. On Tuesday, March 27, 2018 at about 11:00 a.m., 26-year-old Onan Loaiza was walking in the 800 block of Eta Street in National City, presumably on his way home. A black, two-door Nissan Altima pulled up next to him. A male exited the passenger door of the Altima and shot and killed Onan Loaiza. The suspect got back into the black Altima and fled the scene in an unknown direction. Onan Loaiza was involved in a fight with two men minutes before his death at the Mex Mart, located at 1740 S. 43rd Street in San Diego. He was likely targeted for his involvement in the fight. Robert Allen Garduno (27) has been arrested for Loaiza’s murder. The investigation is ongoing and other suspect(s) are still outstanding. Anyone with information on the identity or location of the person(s) responsible for this murder is asked to call the National City Police Department at (619) 336-4411 or the Crime Stoppers anonymous tip line at (888) 580-8477. Crime Stoppers is offering a $1,000 reward to anyone with information that leads to an arrest in this case. Visit the Crime Stoppers website at www.sdcrimestoppers.org for more information on how to send anonymous web and mobile app tips. Media inquiries about this case should be directed to National City PD Sgt. Cameon at (619) 336-4524 or email at CCameon@nationalcityca.gov. San Diego County Crime Stoppers, along with investigators from the San Diego Police Department’s Homicide Unit, the San Diego County District Attorney’s Office, the United States Marshals Service, and the Phoenix area Silent Witness Program are asking for the public’s help in locating Raymond McLeod who is wanted for the murder of 30-year-old Krystal Mitchell. On June 10, 2016, at 1:17 p.m., San Diego Police Officers responded to a 911 call of a female not breathing inside of an apartment in the 7600 block of Mission Gorge Road. The female later identified as Krystal Mitchell, was pronounced deceased at the scene by medics. 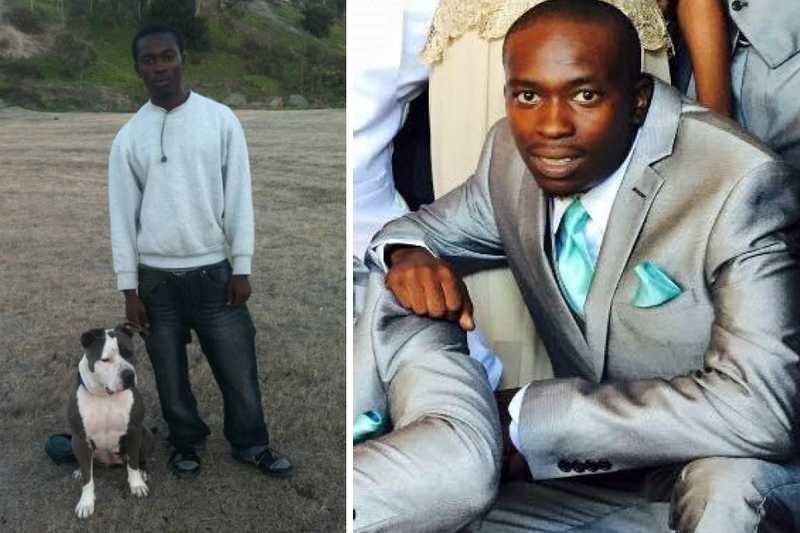 Detectives from the San Diego Police Department’s Homicide Unit responded to the scene and determined that Mitchell was last seen alive with her boyfriend, Raymond McLeod. 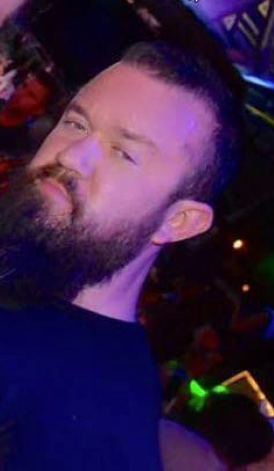 McLeod is believed to have fled to Mexico after Mitchell’s death and is now believed to be traveling in Central America. McLeod and Mitchell are from Phoenix, Arizona and were both visiting San Diego when the crime occurred. Josephine Funes Wentzel (victim’s mother) will join District Attorney Summer Stephan along with officials from the San Diego Police Department and the United States Marshals Service for a press conference today, April 3, at 12:00 p.m., at the District Attorney’s Office located at the Hall of Justice, 330 W. Broadway, 13th floor, San Diego. The United States Marshals Service is offering a $10,000 reward in addition to Crime Stoppers offering a $1,000 reward for any information that leads to the arrest of Raymond McLeod. Anyone with information on this murder or the location of Raymond McLeod is asked to call the Crime Stoppers anonymous tip line at (888) 580-8477. Visit the Crime Stoppers website at www.sdcrimestoppers.org for more information on how to send anonymous web and mobile app tips. Media inquiries about this case can be directed to Lt. Matt Dobbs at (619) 531-2425 or email at mdobbs@pd.sandiego.gov. San Diego County Crime Stoppers, junto con investigadores de la Unidad de Homicidio del Departamento de Policía de San Diego, la Oficina de la Fiscalia del Condado de San Diego, el Servicio del Alguacil Federal (U.S. 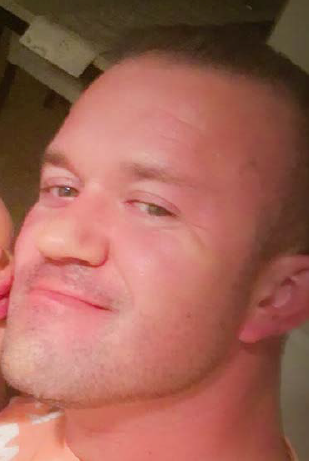 Marshals), y el Programa de Testigos Silenciosos (Silent Witness Program) en Phoenix, piden la ayuda del publico para localizar a Raymond McLeod quien es buscado por el asesinato de Krystal Mitchell, de 30 años de edad. El 10 de Junio de 2016, a las 1:17 p.m., los agentes de la Policía de San Diego respondieron a una llamada al 911 acerca de una mujer que no respiraba dentro de un apartamento en la cuadra 7600 de Mission Gorge Road en San Diego. La mujer, más tarde identificada como Krystal Mitchell, fue declarada muerta en el lugar de los hechos por médicos. Detectives de la Unidad de Homicidios del Departamento de Policía de San Diego respondieron a la escena y determinaron que Mitchell fue vista viva por última vez con su novio, Raymond McLeod. Se cree que McLeod huyó a México después de la muerte de Mitchell y que ahora está viajando en Centroamérica. McLeod y Mitchell son de Phoenix, Arizona y ambos estaban visitando San Diego cuando ocurrió el crimen. Raymond McLeod es un ex-Infante de Marina de Estados Unidos quien podría tener acceso a armas. McLeod es un hombre blanco, de 34 años de edad, de estatura 5’11”, pesa 245 libras, tiene múltiples tatuajes reconocibles en los dos brazos. McLeod también usa el sobrenombre de "RJ", pero puede estar usando el nombre “Matt” o “Mateo”. Josephine Funes Wentzel (la madre de la víctima) acompañará a la Fiscal de Distrito Summer Stephan junto con oficiales del Departamento de Policía de San Diego y el Alguacil Federal durante una conferencia de prensa a las 12:00 p.m., en la Oficina de la Fiscalía del Condado ubicada en el edificio Hall of Justice, 330 W. Broadway, San Diego. El Servicio del Alguacil Federal está ofreciendo una recompensa de $10,000 en adición a la recompensa de $1,000 que ofrece Crime Stoppers por cualquier información que resulte en el arresto de Raymond McLeod. Se solicita a cualquier persona con información sobre este homicidio o la ubicación de Raymond McLeod que llame a la línea de denuncia anónima de Crime Stoppers al (888) 580-8477. Visita la página web de Crime Stoppers www.sdcrimestoppers.org para más información sobre cómo se pueden enviar denuncias anónimas por la web o la aplicación móvil. Los medios que tengan preguntas sobre este caso pueden contactar al Teniente Matt Dobbs: (619) 531-2425 o por correo electrónico: mdobbs@pd.sandiego.gov. Los medios que tengan preguntas sobre Crime Stoppers pueden contactar al Oficial de la Policía de San Diego Mark Herring: (619) 531-1500 o por correo electrónico: msherring@pd.sandiego.gov of a la Oficial del Alguacil del Condado de San Diego Adriana Uribe: (619) 531-1547 o por correo electrónico: adriana.uribe@sdsheriff.org .